Abu Dhabi: The UAE announced two major initiatives in the space sector on Tuesday, which will benefit the entire Arab world. 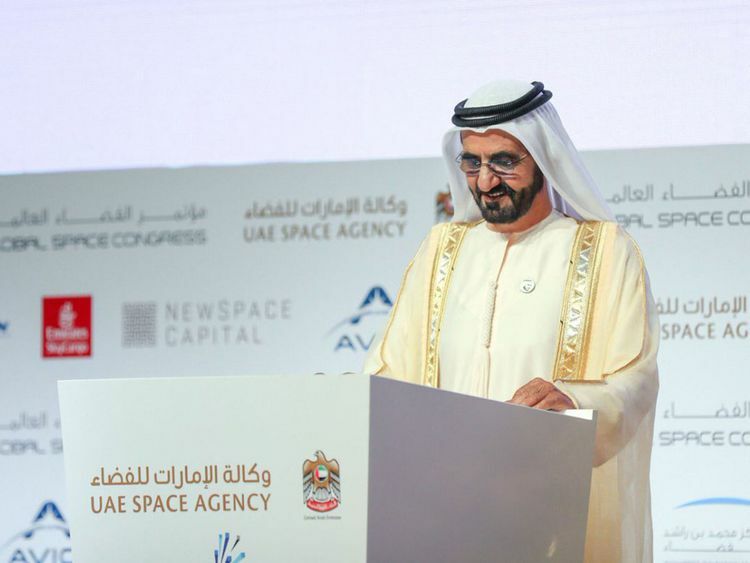 The Arab Group for Space Collaboration with an initial membership of 11 Arab nations will advance the developments in Arab word’s space sector, it was announced on the first day of the Global Space Congress, a three-day conference organised by the UAE Space Agency in Abu Dhabi. An Arab Satellite catering to the Arab world will be launched within three years, heard the official opening ceremony of the Congress in the presence of His Highness Shaikh Mohammad Bin Rashid Al Maktoum, Vice-President and Prime Minister of the UAE and Ruler of Dubai; and many other senior Shaikhs, ministers and officials.